Autism is a developmental condition, present from early childhood, which affects how a person relates to others. People with autism have great difficulty communicating and forming relationships. It affects around 1% of the population, and is commoner in boys than in girls. The prevalence seems to be rising, for reasons which we don’t completely understand. There are milder forms of autism, such as Asperger’s disorder, which may only be recognised in middle childhood or later. How can you tell that your child is autistic? A child with autism will usually be showing concerning behaviours by as early as 12 -18 months of age. Children with autism commonly have delayed speech, but it is important to remember that not every child with delayed speech is autistic, it fact most aren’t. But what is always impaired in autism is the way these children use speech and language to communicate with other people. Autistic children struggle to form friendships, and tend to be loners. They are often simply not interested in being with other kids. They lack the social skills required to interact meaningfully with others, and battle to understand facial expressions and other non-verbal gestures. These children lack what is called ‘joint attention;’ what this means is that they don’t spontaneously seek to share enjoyment with their parents and significant others. This may be evident from as early as 18 months, and one of the signs is the failure of the child to point to objects of interest in their environment. It’s one thing pointing to the fridge if you’re thirsty, but pointing to share enjoyment is typically absent in children with autism. Autistic children display a lack of imagination and pretend play in their games. For example, a little boy with autism may line up all his cars in a row rather than invent a game in which the cars race or drive ‘as if’ they were real cars. They will not use a stick as if it was a gun or pretend that they are superman or batman. Children with autism often display unusual, repetitive behaviours, such as hand-flapping or rocking to and fro. These children also tend to have a very narrow range of interests. In fact, higher functioning autistic children may become extremely knowledgable about their particular area of interest. Autism is a genetic disorder, but there is no single genetic abnormality which is responsible for the condition. Rather, there are a number of genes which are suspected to contribute to autism. It is thought that these genes act in combination with eachother and with the environment to give rise to the disorder. There is no prevention for autism. Perhaps in the future when we understand more about what causes it, we will have strategies to prevent it. There is much controversy about the potential role of the MMR (measles mumps rubella) vaccine in causing autism, and many parents have opted not to immunise their children for fear of increasing their child’s risk for the condition. However there is NO EVIDENCE that the MMR vaccine is responsible for autism and it is a mistake to deny your child this immunisation and increase your child’s risk for these potentially serious infections. There is no cure for autism, but there are many strategies to reduce the severity of the condition, and enable those affected to live the most fulfilling lives possible. The first step is choosing the correct school for the child. This will depend on their intellectual ability. Some children with autism have a normal IQ, and others may be severely handicapped. There is a spectrum of ability which we see with this condition. Certain schools are specially geared to cater for autistic children. The treatment of autism is multidisciplinary. This means that several different professionals are often involved. Besides the teacher, a speech therapist, occupational therapist, psychologist or child psychiatrist may all have important roles to play. Children with autism may present with many challenging behaviours, and there are various forms of behaviour modification which are used to reduce these behaviours, both in the classroom and at home. Many children with autism require medication to assist with associated symptoms of the condition, such as aggression, anxiety, or concentration difficulties. Again, medication is not a cure for autism, but may well relieve troublesome symptoms. 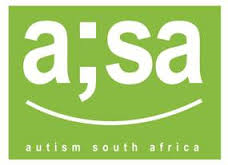 For further assistance and advice, there are many excellent advocacy groups, such as Autism South Africa ( www.aut2know.co.za). Dr Belsham is a child psychiatrist and author. His book, What’s the fuss about ADHD? is available from Amazon (click here). Thank you for a most useful synopsis.